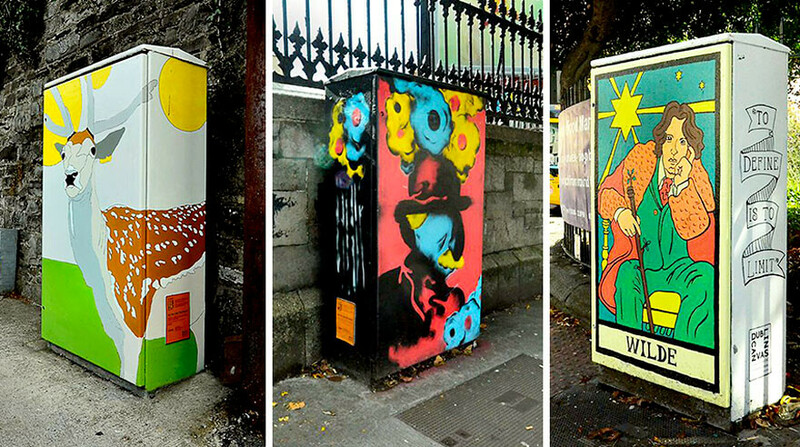 A series of colourful traffic signal boxes has added art to the streets of Dublin city as part of the Dublin Canvas project. It’s probably the first time most of us have even noticed these boxes; their old dull appearance was nothing to admire. Now works of art, they showcase the artistic talents of people across Dublin. Dublin Canvas is a community street art project, its main goal to make the city more beautiful, and it has definitely achieved it. David Murtagh, the project coordinator has given us some background on the project. Dublin.ie: When did the project start? David: The project started in 2013. 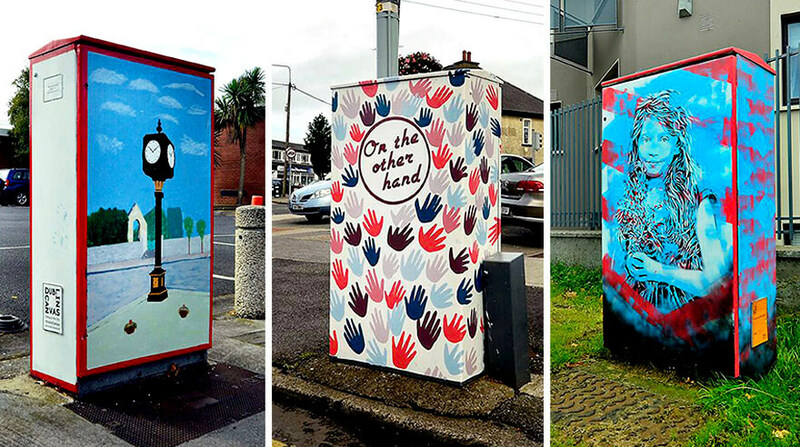 Dublin City Council Beta did a trial run using 11 traffic signal boxes on the Northside of Dublin. This project was so successful that it was decided to run the project on a larger scale. Dublin.ie: How did you get involved with the project? David: I had completed a similar project in 2008/2010 in Temple Bar called ‘Invoke Street Art’. It used vinyl wraps on five boxes instead of paint. This project was inspired by ‘Artforce’, a project in Brisbane that I experienced whilst backpacking through Australia. I was blown away by the effect it had on people so decided to replicate it in Dublin. Last year, I decided to change career paths and approached Dublin City Council about running Dublin Canvas on their behalf. As they had already run the trial in 2013, they agreed. I just happened to be in the right place at the right time. Dublin.ie: Is there a theme? What is the brief for the box design? David: The main idea is colour in the city, it has to be colourful. There was a call out to participants to submit artwork for the boxes. You can see the variety of styles throughout the city by illustrators, stencil artists, graphic designers, fine artists and street artists. Participants range in all ages from school children to retirees, professionals such as barristers, people from the IT sector, engineers, and of course across a variety of art disciplines. Most of the artists have their day jobs and this is what they get up to at the weekend. We have a few street artists and that is solely what they do. Dublin.ie: Are there many more boxes to come? Or any big future plans? David: About 50 boxes were painted in 2015, and 76 completed in 2016. That’s about 125 boxes currently, and with a future aim for about 200 boxes across the city. We have completed 71 boxes so far and have five more to do. We are going to finish up the project this year and will have a total of 76 completed in 2016. The boxes are spread out across Dublin. We have touched each area, which was the aim of the project. 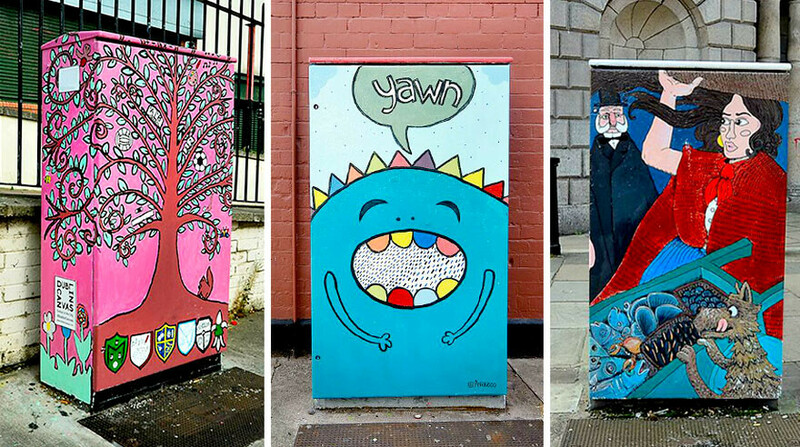 Check out Dublin Canvas on Facebook, #DublinCanvas and Instagram to see more of the boxes or, alternatively, take to the streets and find them – it’s definitely a different way to explore Dublin.